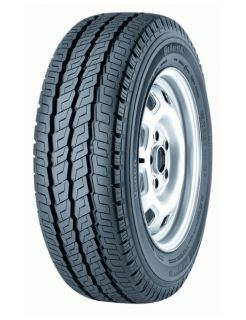 Designed to go the distance, the Vanco 8 is a summer van tyre with an extended life. Thanks to the use of an innovative high mileage tread compound, the Vanco 8 provides a longer tread life with increased resistance to damage which results in high mileage. The Vanco 8 also offers improved wet performance due to an innovative tread design which swiftly evacuates water and gives resistance against aquaplaning. Furthermore, the addition of a curbing rim protect the tyre sidewall against general everyday wear and tear.